A pair of old diamond boats at Port Nolloth Harbour. 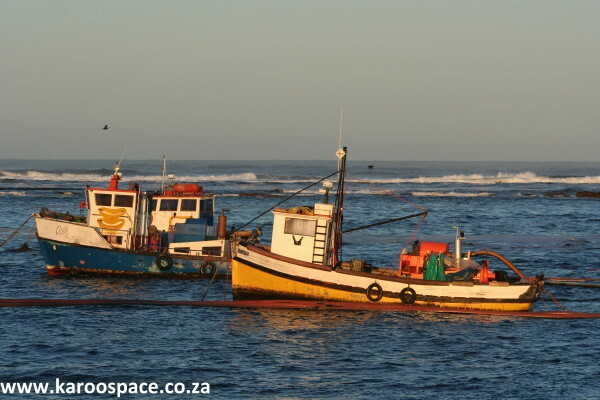 Northern Cape – Spring, 2008 – I’ve just pitched up in Port Nolloth – Port Jolly to her friends. A guy I know, George Moyses, lives in a house museum by the sea at the nearby MacDougall’s Bay. George has now been appointed curator of the Port Nolloth Museum. The museum was set up by the late Grazia de Beer, one of Port Nolloth’s most beloved characters. It celebrates the history of the local copper industry and, of course, the offshore diamond mining. It also has the crazy random stuff I love: slave bracelets from the shipwreck of the Black Joke that sank in 1600, old medicine containers for citronella oil and liquorice powder, partial heads and limbs of china dolls, veteran meerschaum pipes, a Nama Bible and a set of crayfish teeth, with the intriguing information that a crayfish can bend a R2 coin in its teeth. The “beautiful bleakness” of the Port Nolloth – Alexander Bay road. I take the Salt Road up to Alexander Bay, and after a quick hello-hello with my cameras at the massed flamingos dining elegantly at the Orange River mouth, I pop in at the local mine museum. It’s all about the heydays of Ay-Bay, when diamonds were scooped up like Smarties and the cops went crazy, running around to catch the smugglers. There’s a framed drawing of a kransduif on display, bringing to mind the posduif legends of this craggy little bay nestled in the armpit of Namibia. Said homing pigeons would be snuck into the binnekamp (a high security area where the mining took place, and where the on-shift workers stayed) and fitted with tiny harnesses. A little parcel of diamonds would be strapped into the harness and the bird would be released, flying over the fence to a waiting somebody. But one day a binnekamper got greedy, and over-packed the bird so it flapped around the main street of Alexander Bay like a fat penguin, unable to take off. And the jig, so to speak, was up. South of Port Nolloth is Kleinzee, another diamond in the rough. De Beers have left, but the museum remains. 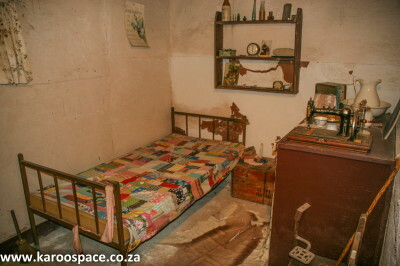 And my favourite section of this establishment is the Namaqua Room, with the home-sewn quilt, the sponge mattress, the potty and basin and the clunky old alarm clock to wake you up for your shift at the old mine. And whenever you see photos of these guys, they’re all skinny and mean-looking. Bunch of Billy the Kids, the lot of them. There’s a diorama complete with strandwolf, mangy leopard and a few startled birds. You’ll also come across an open briefcase filled with wax-sealed envelopes. Incredibly enough, the diamonds of Kleinzee used to be posted to De Beers’ head office in Kimberley by regular mail. Times have changed. The lovely massed windpumps of Loeriesfontein. 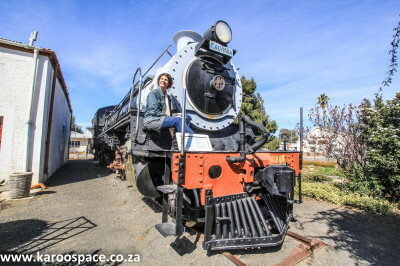 I go south on the N7, swing off at Vanrhynsdorp and eventually hit a left up to Loeriesfontein to spy out the Fred Turner Museum. Listen, if you like a windmill, this is the place. They’ve got nearly 30 of these wondrous water giants out in the yard, spinning away: Star Zephyr, Conquest, Gearing Self-Oiled, Dandy, Beatty Pumper, Eclipse, Climax, Aermotor, Vetsak President (I love that one) and Fairbanks, to name a few. But go inside the building and yes, the trekboer diorama is particularly toothsome. But check out the old smouswa, the one sold to Fred Turner for 90 pounds in 1919 to Jan Visser, aka Jan Polisieman. 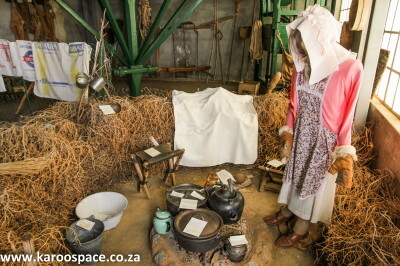 Still-life dioramas – the creative backbone of most old-style Karoo museums. The Visser family used it for Nagmaal trips, Sunday visits to faraway farms and transporting sheep to market. The wagon made it three times over the Kamiesberg, past Bitterfontein and all the way to Hondeklip Bay. Impressed? I thought so. Fred Turner, a smous who came to settle here, built the first shop in Loeriesfontein. But why the windmills? The writer James Walton was so good he could put a book together about fowl runs of South Africa if he wanted to. 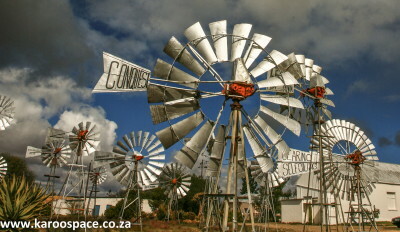 One of his best-beloved works is The Windpumps of South Africa. Yes, I know. Windmill, windpump. Potahto, potayto. Anyway, James Walton. Back in the later 1990s he issued a plea that someone in South Africa should set up a windmill museum to preserve their memory. 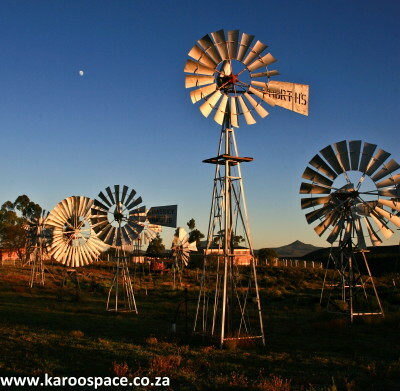 After all, the advent of the windmill made the ground water of the Karoo and Kalahari available to Mankind – and gave birth to all the farms and towns you see here. The Loeriesfontein Windpumps on a clear winter’s daybreak. Loeriesfontein heeded James’ call and built a windmill museum. And every spring, the daisies run riot at their feet and the constant stream of tourists helps keep the village ticking. Should you run across the curator, Benjamin Daniels, beg him for a quick tour. The rather distinguished-looking retired schoolteacher is a treat, and he will show you things you never dreamed of. Memci van Wyk, curator of the Calvinia Museum. When you meet Ben, ask him to tell you about Koos van der Merwe of Calvinia who climbed up to repair his windmill one day and ended up on a not-so merry-go-round. In my travels, I’ve often remarked on the Calvinia Museum, so I won’t linger. Except to say you have to go and see Memci van Wyk, the beautiful and bubbly curator. And while you’re there, say hello to the four-legged ostrich chick, Danie Poggenpoel’s sheep with the shaggy fleece, the Lombard Quads (born in 1951) and all their baby clothes, cots and toys. From Calvinia, I head down past Middelpos and Sutherland to visit the Marie Rawdon Museum at Matjiesfontein. I’ve left the best for last. 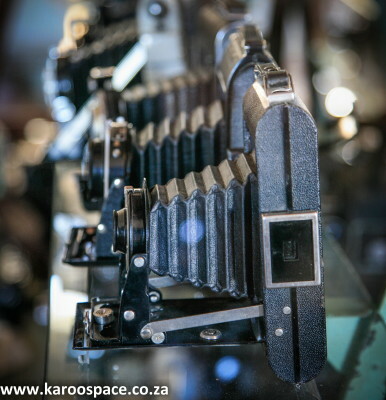 The Marie Rawdon Museum houses a massive collection of old cameras, carefully displayed in the apothecary section. Matjiesfontein, O Matjiesfontein. The Lord Milner Hotel looks fetching in the drizzle, with loads of expensive motorcycles parked in front of the pub – the weekend warriors are out in full force. In the cavernous breakfast room I can almost hear Olive Schreiner giving Cecil John Rhodes a piece of her mind. Johnny gets in the mood at The Laird’s Arms. Johnny Theunissen the hotel entertainer is on the late shift and will play something old and familiar on the honky tonk in The Laird’s Arms tonight. Opera glasses, 19th century shampoo bottles, hydrometers, pipes, a cake made in the shape of the hotel – its sugary turrets showing signs of imminent collapse. Plated tea sets, monocles, an ivory pipe, a bound leather book commemorating Lord Hawke’s Cricket tour of SA in 1898 – 1899. A plaster figure of the rebel Jopie Fourie. Metal handcuffs. Parasols and dresses. Middle Eastern pottery flagons. In the kitchen section, we find a coffee grinder, ice cream maker, boot scraper, bottle corker, knife cleaner, nut mincer, corn sheller, sugar cane cutter, and sausage maker. 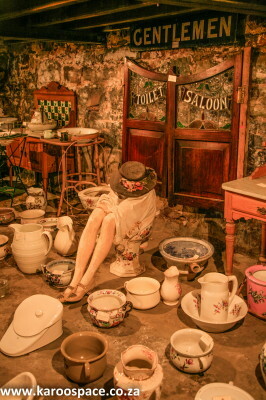 The Toilet Saloon at the Marie Rawdon Museum. Elsewhere there are stuffed skunks, tortoises, aardwolfs, badgers and warthogs, plus the head of a mean-looking crocodile. Also a cloak worn by Emperor Haile Selassie during his rule of Ethiopia from 1928 to 1975 – the Lion of Judah. There are cameras of all vintages, plus an apothecker’s dispensary complete with old green bottles, tinctures and infusions containing bismuth, ergot, digitalis, iodide, cyanide and strychnine. Look, here’s a dentist’s chair complete with false teeth. Downstairs is a magic cave full of arcane objects, bellows, stirrups, shoe lasts and moulds, memorabilia from the Anglo-Boer war. And the fine glassware: Victorian custard cups, an Edwardian claret jug, Bohemian wine glasses, a Cape Woodstock finger bowl, Czechoslovakian celery glasses, a Georgian decanter. Then the toilet saloon, with every kind of potty, commode, throne and wash basin, including a Welsh miner’s washing bowl. 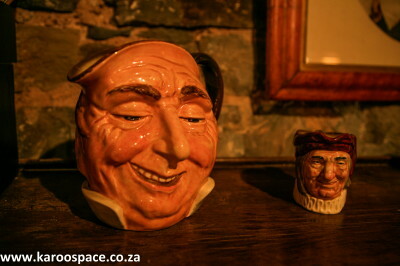 The famous Toby Jugs of Matjiesfontein. 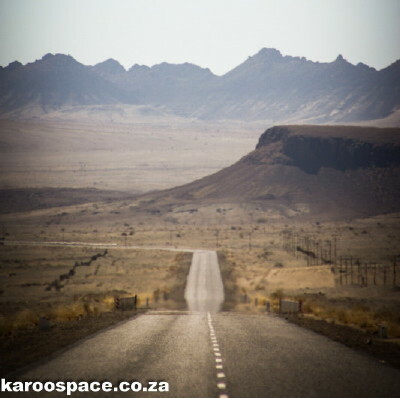 Do you want an Insider’s Look at the Karoo? 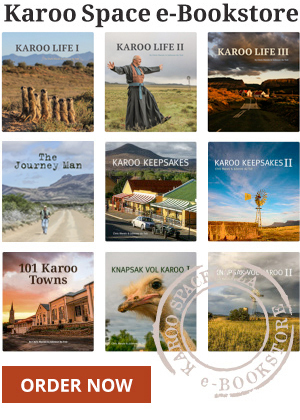 Try one of our Karoo Space e-Books HERE. The Quiver Trees of Kenhardt The Great Karoo Treasure Hunt Rise, Fall & Rise of the Tankwa Padstal Karoo 2015 – The Year in Pictures Grand Prix Season in the Karoo! Karoo Life I – Matjiesfontein Karoo Winners at Richmond Festival Karoo Life III – AfrikaBurn! I am currently preparing for a PhD in African Studies and looking at dress/fashion collections in South African Museums and how/if these can be made to speak to a contemporary audience? I would love some comments on the best places to contact/visit/research with regards quirky/fabulous dress/fashion collections in museums in the Karoo…. Thanks for this fun ‘tour’ of a part of SA I have not been to for over 40 years. Matjiesfontein is the exception, I last visited there in 2004 with my son and had the absolute pleasure of a personal tour with Johnny Theunissen. I am delighted to see that he is still going strong. 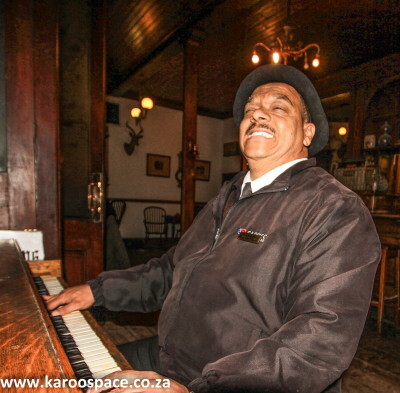 For me Johnny will always be Matjiesfontein. Sadly, on my last trip to SA in October last year, I simply did not have time to linger and enjoy or to visit the Lord Milner again. I take it you are aware of the displays of settler dress and fashion displays at the East London Museum? There was an extensive collection there in 2004. Hi Patrick – Glad you liked the piece. For a magpie like myself, there is nothing quite like the Karoo. Hi there every time I read something about the Karoo I get tears in my eyes. I just love the place. I just can’t explain it. Have family in Williston where my late brother’s sons farm. Can just sit on a Koppie on the farm and stare into the distance for hours on end. Just hope and pray that this region is not exploited by mining companies one day. Note that Victoria West also has a small museum!